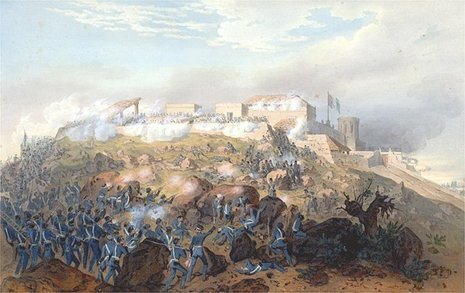 The Siege of Fort Texas marked the beginning of active campaigning by the armies of the United States and Mexico during the Mexican-American War. The battle is sometimes called The Siege of Fort Brown, but this is not entirely accurate — the name Fort Brown was taken from Major Jacob Brown (not to be confused with War of 1812 hero Jacob Brown) who was one of the two Americans killed during the bombardment. The Siege of Fort Texas began on May 3. Mexican artillery at Matamoros opened fire on Fort Texas, which replied with its own guns. 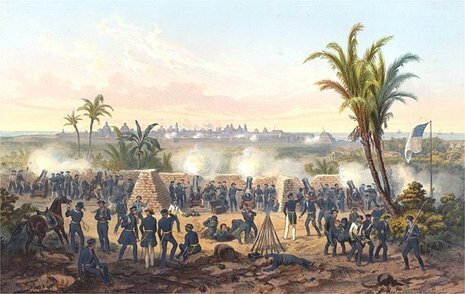 The bombardment continued for 160 hours and expanded as Mexican forces gradually surrounded the fort. Thirteen soldiers were injured and two U.S. soldiers were killed during the bombardment. Among the dead was Jacob Brown, after whom the fort was later named.